Oracle is seeking US$8.8 billion in damages in a long-running copyright lawsuit against Google over its use of Java in Android, court filings show. Oracle sued Google six years ago, claiming the search giant needs a license to use parts of the Java platform in Google's market-leading mobile OS. The companies went to trial over the matter in 2012 but the jury was split on the crucial question of whether Google’s use of Java was protected by "fair use," which permits copying under limited circumstances. They're headed back to a federal district court in San Francisco for a new trial due to begin May 9. As last time, a parade of star witnesses is expected to take the stand, including Oracle’s Larry Ellison and Google’s Eric Schmidt. The damages figure appears in a report compiled by an expert hired by Oracle to calculate how much Google should pay for its alleged infringement. The figure could be reduced before the case gets to trial. It's currently about 10 times the sum Oracle was seeking when the case went to trial last time. The increase reflects the dramatic growth of both Android and the smartphone market in the intervening years. 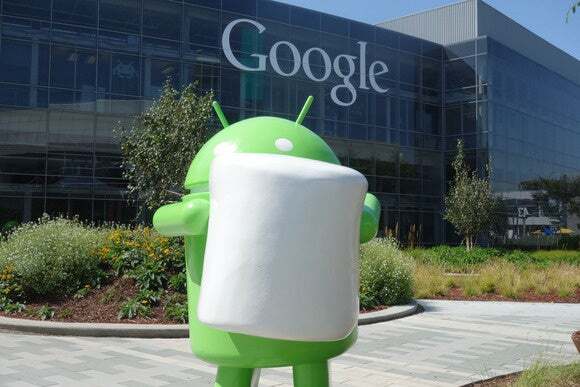 The new trial will cover six additional versions of Android, up to and including Lollipop. To put $8.8 billion in context, Google’s parent company, Alphabet, made $4.9 billion in profit last quarter. Google has hired its own damages expert who's sure to have come up with a much lower estimate for how much harm Oracle suffered. That damages report isn't yet public, but a filing by Oracle last week suggests Google caps at least part of the damages at $100 million. When damages estimates vary widely, juries often settle on a figure somewhere in between. Google did not respond to requests for comment, and an Oracle spokeswoman declined to comment. At issue in the case is Google's decision to use Java as the basis for its Android operating system without obtaining a license from Sun. In the first trial, a jury found Google had infringed Oracle’s copyright by copying into Android the "structure, sequence and organization" of 37 Java application programming interfaces. The trial judge, William Alsup, ruled later that APIs aren't eligible for protection under U.S. copyright law, dealing Oracle's case a seemingly fatal blow. An appeals court overturned that ruling, however. Google appealed to the Supreme Court, which declined to take the case. So it now heads back to Alsup's court to retry the issue of fair use. As Oracle tells it, Google was in a mad rush to get its operating system to market before competing platforms could take hold. It chose to use Java because there were already millions of programmers familiar with the language. Google denies any wrongdoing. It says its use of Java is covered by fair use, which allows copying in limited cases. Factors include whether the use of the copyright work was transformative, meaning whether it turned it into something new; the amount of the original work that was copied, and the impact of the copying on the market value of the original work. The estimate from Oracle's damages expert, James Malackowski, comprises two parts: $475 million for damages incurred by Oracle, and $8.8 billion for profit made by Google. The first figure accounts for money Oracle might have made from licensing Java to handset makers itself, if Google hadn’t developed Android. The second is for profit Google made from Android, including mobile advertising, and apps and content sold through the Android Market and Google Play. There’s likely some overlap between the figures— if Oracle had made its $450 million from licensing Java to handset makers, the theory goes, then Google would have made slightly less. So rather than add the figures, Oracle is asking for only the $8.8 billion. In a court filing last week, Google blasted Malackowski's report and asked Alsup to exclude parts of it from trial, saying it "ignores the statutory standard for copyright damages and fails to offer anything resembling an expert analysis." Copyright law says damages can only be claimed for profits that are "attributable to" the infringing code. And the 37 APIs are "a fraction of a percent of the code in the complex Android smartphone platform," Google’s lawyers argued. “Oracle and Malackowski improperly equate the value of the entirety of Android” with the value of the 37 APIs, Google says. The two sides are due in court April 27 for a pretrial hearing before the judge. This story has been corrected to reflect that the damages amount Oracle is seeking is $8.8 billion.